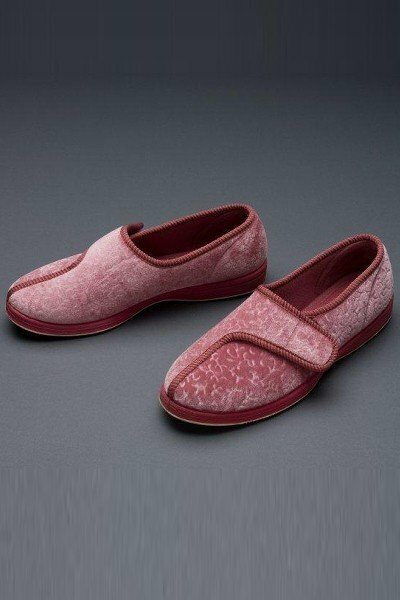 Our top of the line slippers with an adjustable hook & loop tab closure. Cushion insoles for maximum comfort. Velour upper with non-slip rubber sole. Machine wash cold water, rack dry. Wide width. Available in dusty rose or navy.